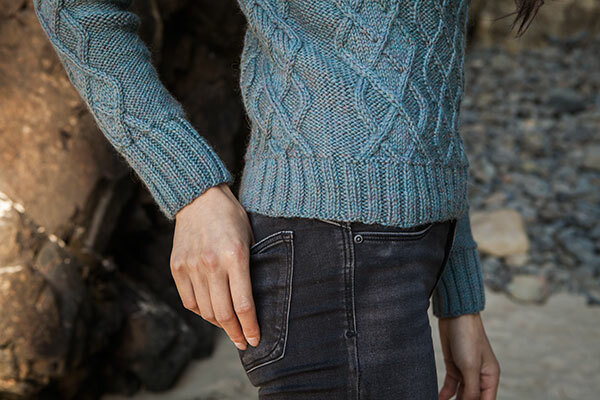 Relying more on spare elegance than baroque intricacy, the cables of this refined sweater balance ornamentation with simplicity. 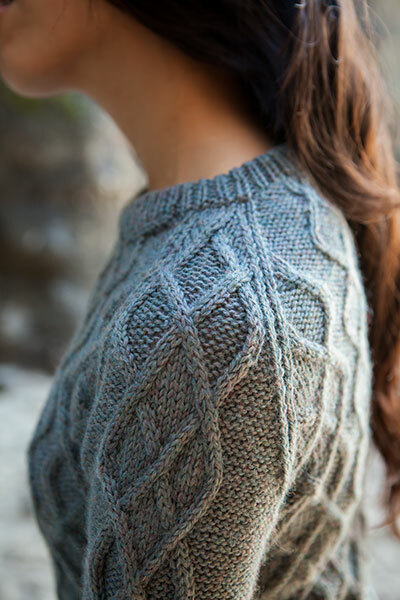 Cabled windows peek out onto fields of reverse stockinette, reminding us that embellishments rely as much on what isn’t there as what is. 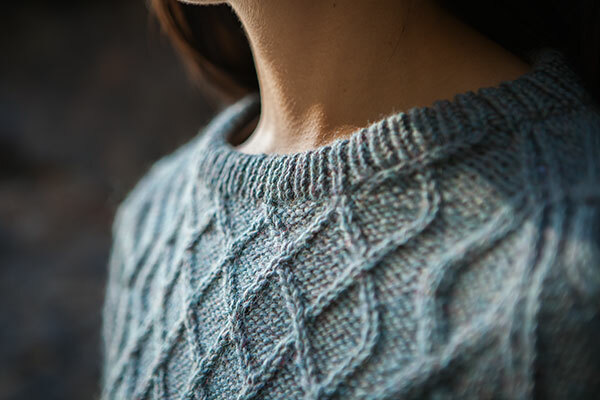 The Diamond Lattice Pullover is worked in the round from the bottom up, with raglan shoulders. The crew neck features a folded collar. 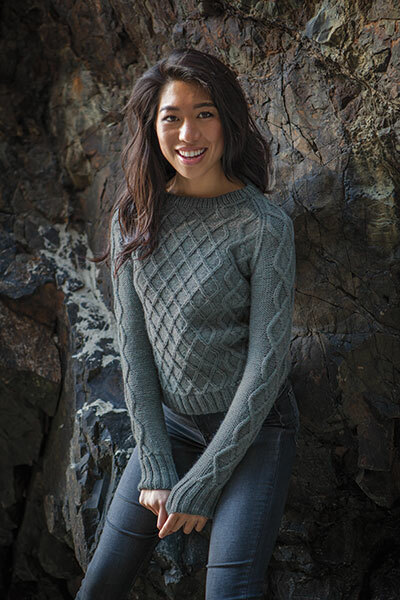 Worn with positive ease, no bust or waist shaping makes for a casual, comfortable fit.